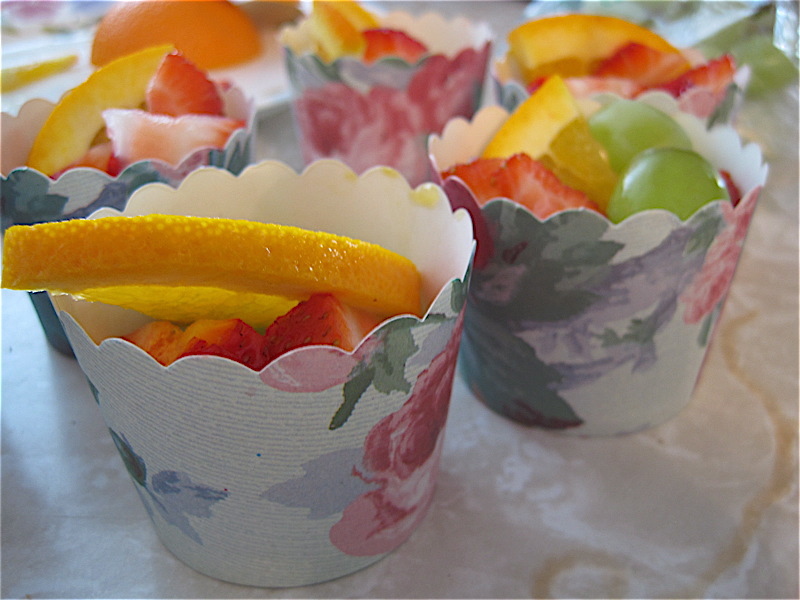 Well, my treats for the garden club meeting the other night turned out just as cute as I hoped they would, and it occurred to me this general idea might be of interest to anyone planning a garden tea in the future. I found the idea on the Family Fun website here. 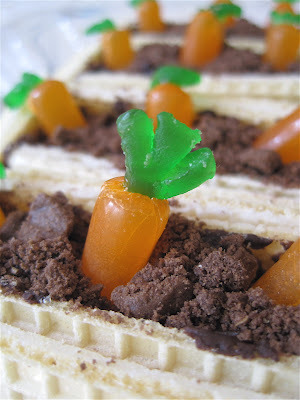 The carrots are made from the orange Mike and Ike candies. 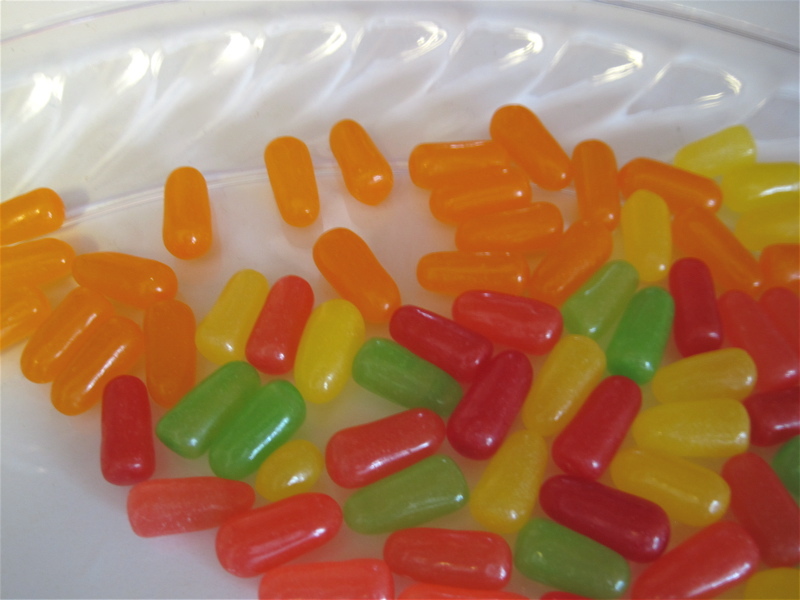 I personally do not much care for any candy that doesn't have the good sense to contain chocolate, but thanks to a young niece and nephew, I at least know what Mike and Ike's are. 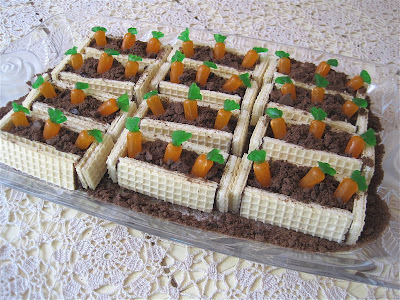 The large size box, I found, gives you just enough carrot-colored candies to make 36 carrots, enough for 12 "carrot patches." 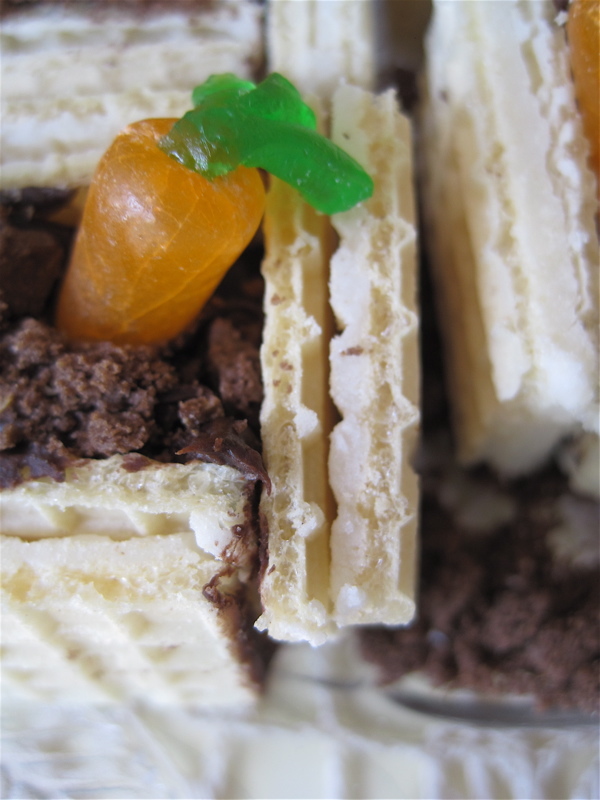 With some "leaves" made from green gummy candy and the frosting and crushed chocolate wafer cookies serving as "dirt," these were very easy to assemble, if a little time-consuming. Still, I think this is too cute an idea not to use again, but I would recommend a) have another pair of hands available so you can assemble these very quickly and b) eat them within 30 minutes of construction! 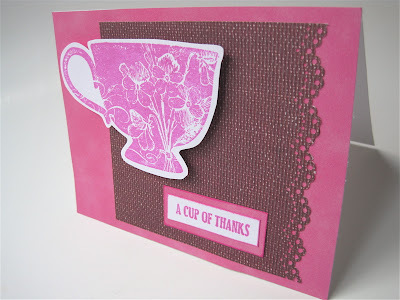 And the moment you've all been waiting for: The winner of the Stampin' Up Tea Shoppe stamps from last week is Denise of Doll Quilters Monthly (and other blogs, too). 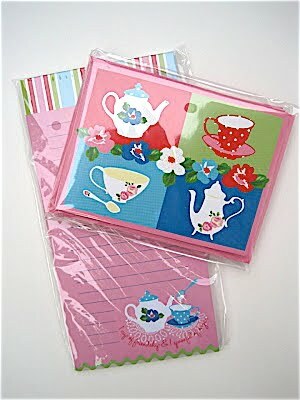 If you'll send me your snail mail address via the e-mail button at right, I'll get these headed your way. Congrats! And this week's giveaway is a couple of items some of you may have already come across at your local Michaels store, and if not, well then you have a chance to win this fun new stationery! First, we have a package of notecards, perfect for invitations to tea or simply saying "thank you" for a tea gift. 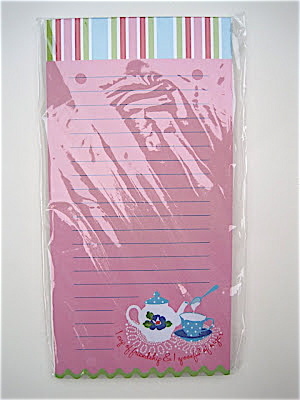 And for future tea planning, who couldn't use another cute memo pad? If you want to be entered to win, just leave a comment to this post between now and noon EST on Friday, May 4. Good luck! One of the items that's long been on my tea time "wish list" was a vintage Marshall Field department store Afternoon Tea menu. 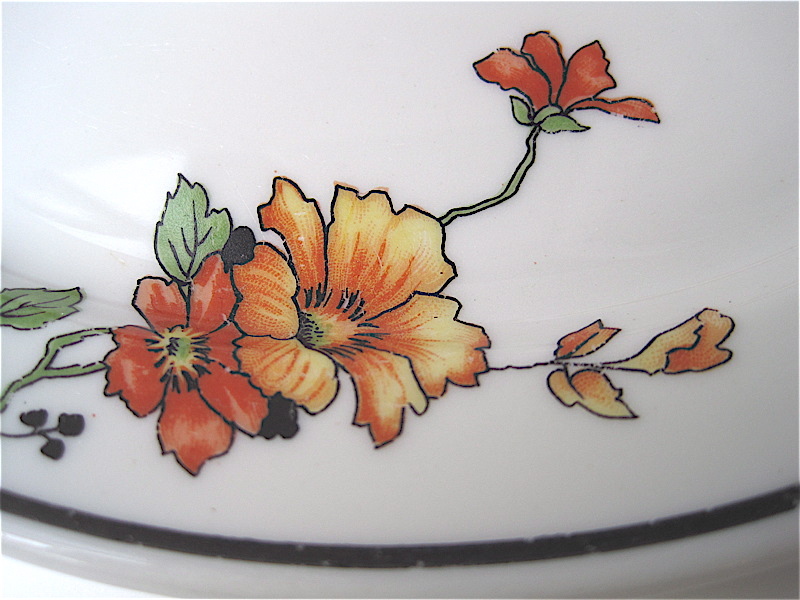 I recently came across this one online, and though it's undated, it's obviously vintage and it met my requirements aesthetically (because it was so pretty) and financially (because it was quite affordable!). 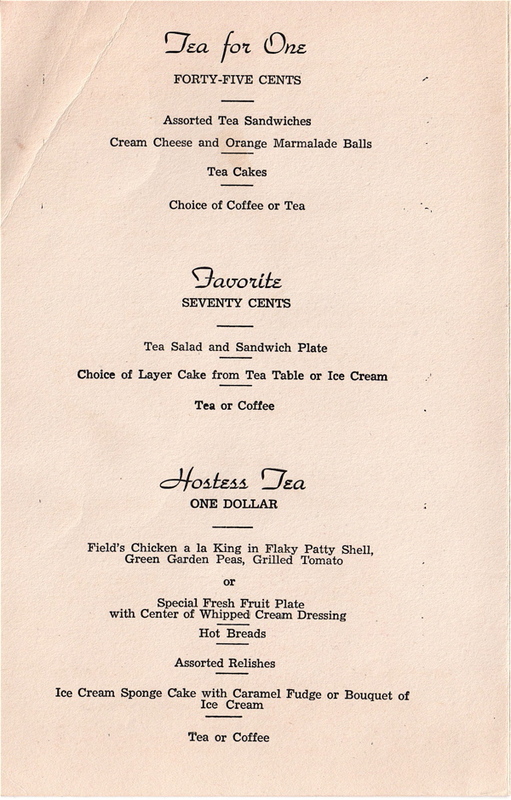 On this page, however, the Minced Tongue and Horseradish Sandwich is definitely *off* my list, I don't care if it was just 30 cents! 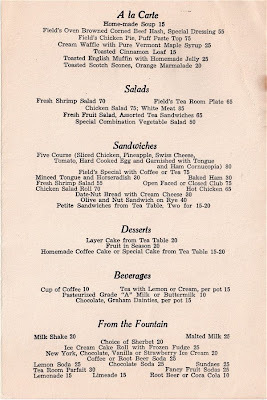 So if we could travel back in time, what would YOU order here? A trip to Joann last week didn't turn up the garden accents I'd hoped to find, but the trip wasn't a total waste, for I came across some great little painted metal magnets! ... and I also loved that they were not $3.99 each as marked but instead were 50 percent off! It's been several years since I visited the Charleston Tea Plantation in South Carolina, and I'd dearly love to go again one day. I never tire of looking at tea plants and talking to tea people! 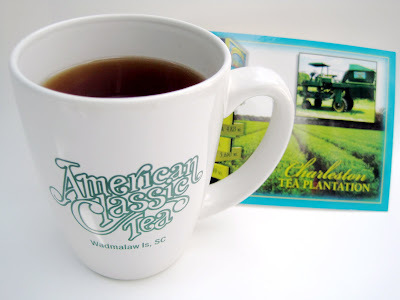 Fortunately for me, my friend Lisa recently visited and returned with a postcard and some new tea samples to remind me of what I'm missing! 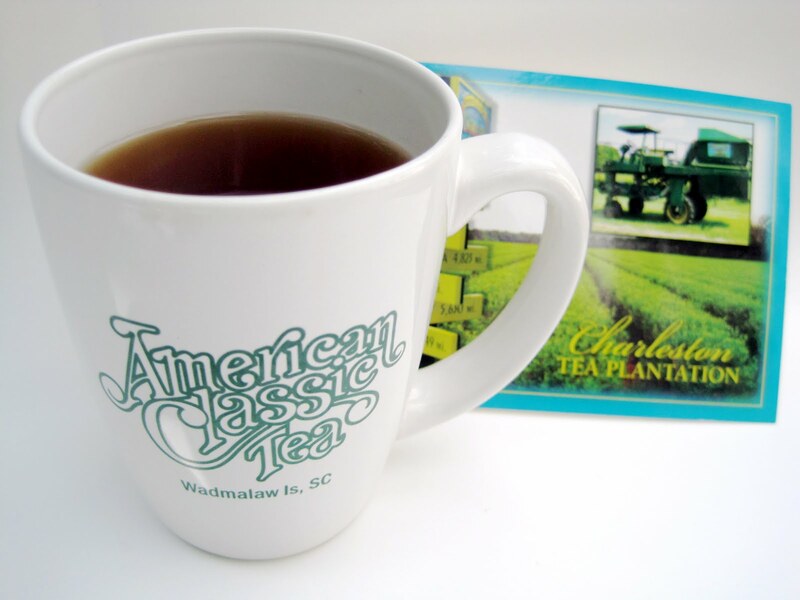 Though I attended a First Flush Festival and enjoyed some of that tea, I have not actually sampled some of their other American Classic Tea blends, so I was delighted Lisa was willing to share! 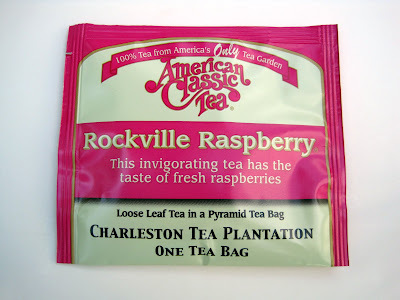 First I tried this Rockville Raspberry tea, which was in a nice silken pouch and had a smooth berry flavor but without that tartness that sometimes turns me off with berry-flavored teas. This one was great! 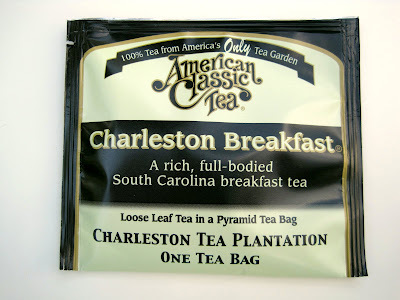 My favorite sample, though, and the biggest surprise, was this Charleston Breakfast tea. 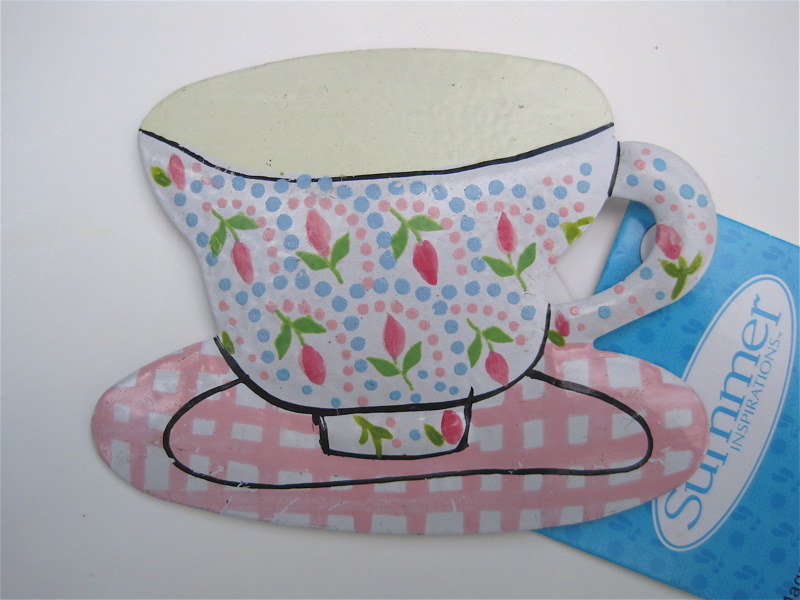 From the moment I opened the packet and sniffed the woodsy scent of the tea, I was smitten. 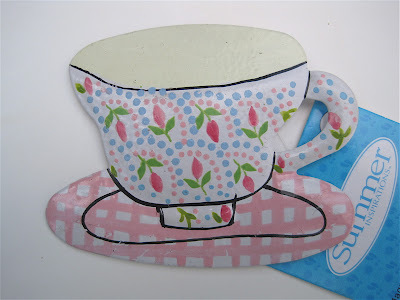 This was such a fresh tasting tea, and I must say I've rarely experienced the rich, fresh flavor of loose tea in a teabag but I certainly did with this one. 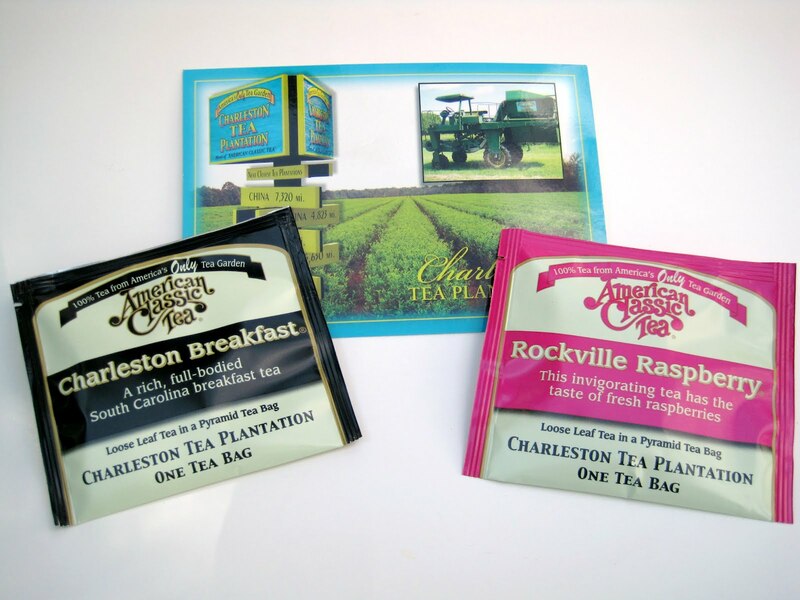 It was a great tasting black tea with no astringency, and I got two steepings from the one teabag. 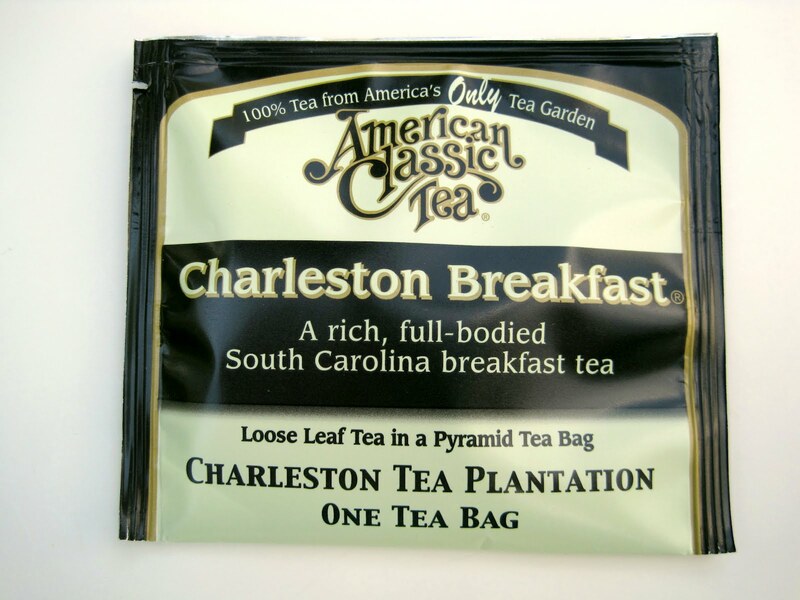 I'm definitely sold on the Charleston Breakfast tea and will be buying a box next time I see it in a local store! -- Ella Christie made a trip to Japan in 1907 that forever changed her, and when she came home to Perthshire she got a female Japanese designer to help her create a Japanese style garden, which included a tea house on an island in the middle of a lake. -- Hilda Leyel in 1927 opened the Culpeper Shop in London, which offered natural products and herbal remedies. 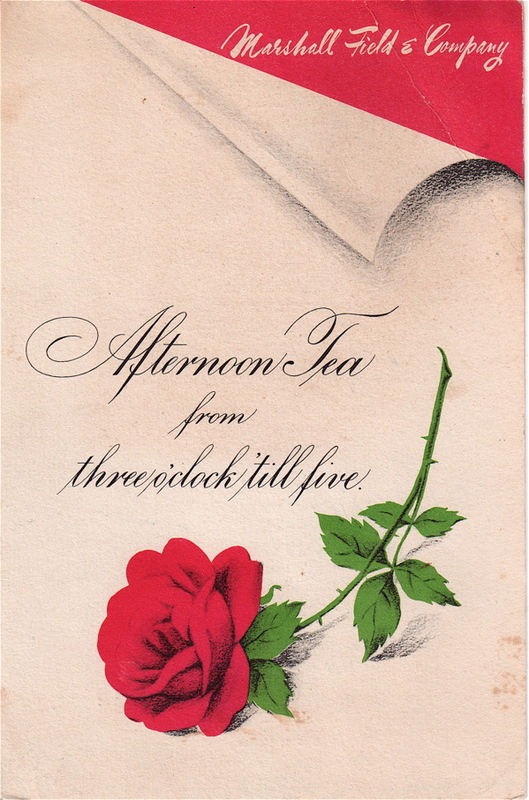 The author notes the shop also offered many of the simple tisanes, such as camomile and lime-blossom tea, which Leyel said were "so popular abroad but at that time almost unknown in this country." -- There's also a fun story about one Viola Williams, who was the first woman to achieve a first-class diploma in horticulture at Reading University in 1937. 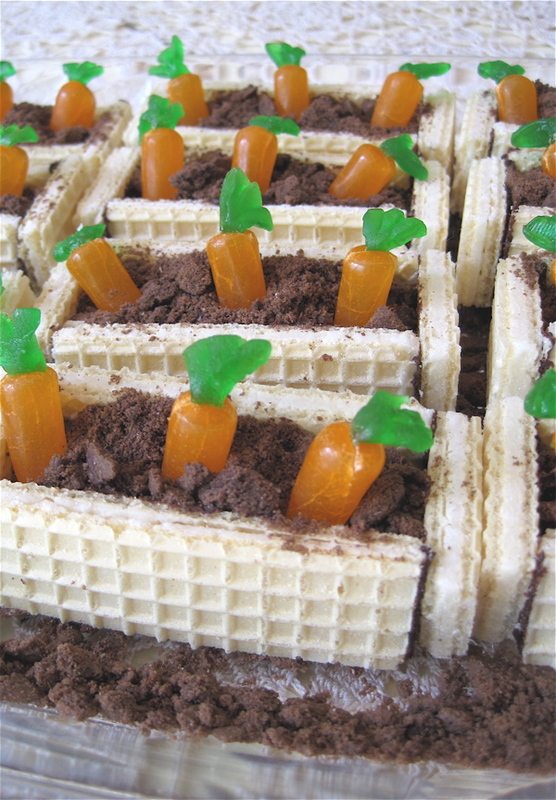 She eventually got a job at a glasshouse and frame nursery. 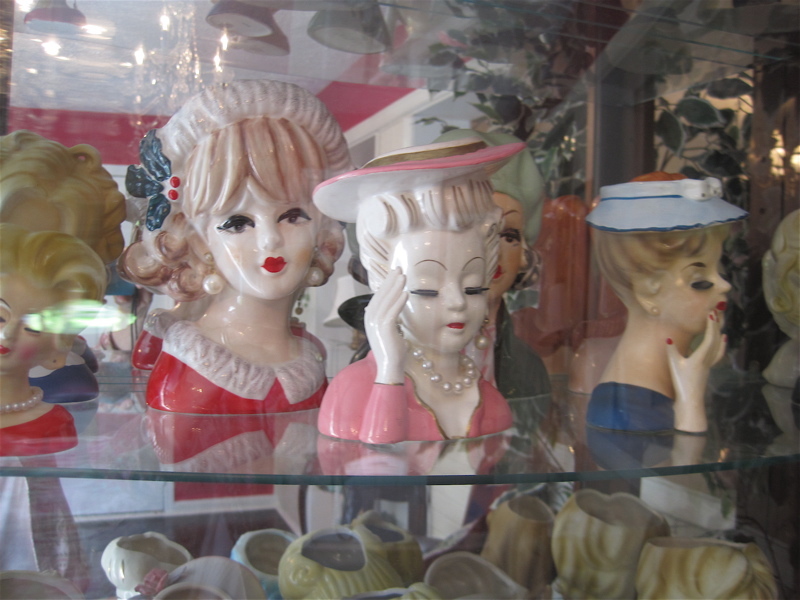 The author quotes Viola: "There were about one hundred men and one woman and me." 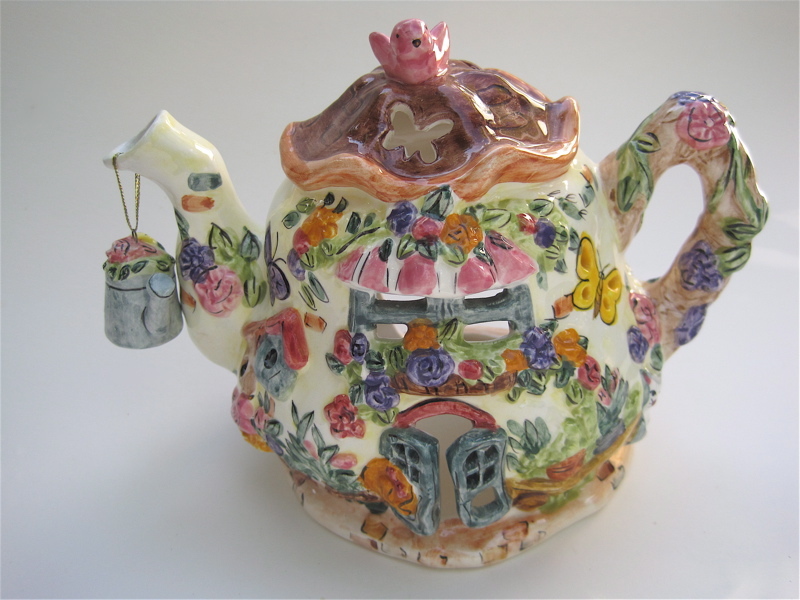 She said Viola's only problem with the men was one early encounter: "The other woman used to do the tea and everything for us. 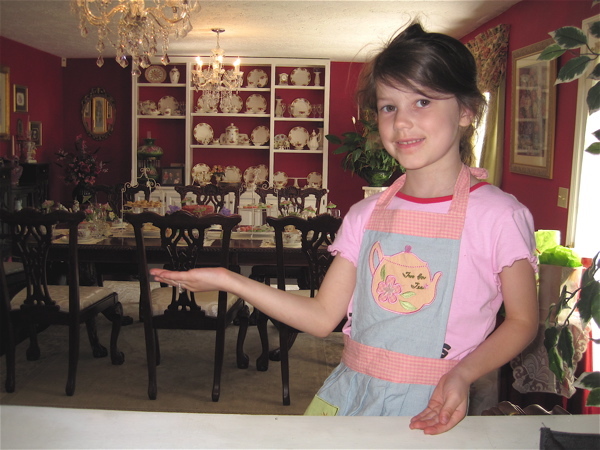 She was off so they put me to making tea at breakfast, lunch, etc. I decided this was not my line at all so I boiled the tea for two hours and they didn't ask me to do it any more." (I'll bet!) 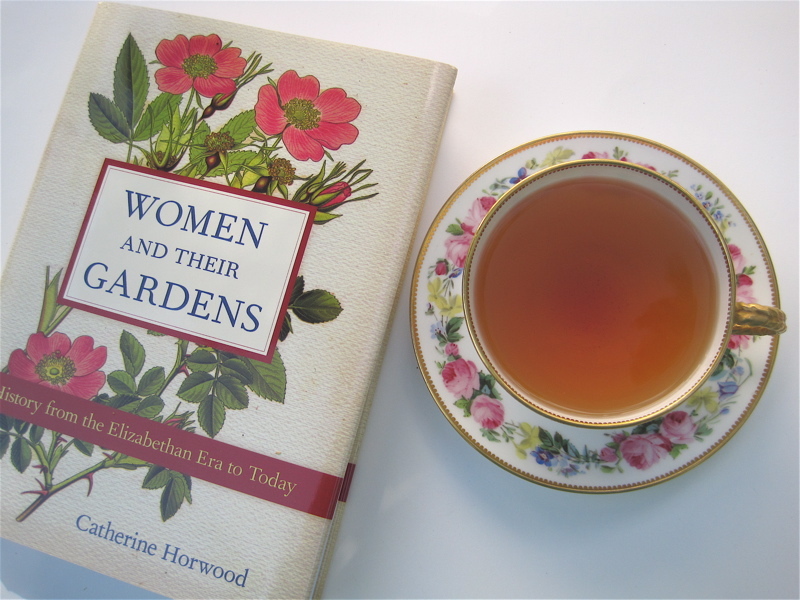 If you're at all interested in women's history and gardening, Women and Their Gardens is a fine book to add to your library. The May/June issue of the magazine I edit, Newnan-Coweta Magazine, made its way to the printer last week, meaning that the deadline rush is over and I have more time for fun things like gardening and tea time! 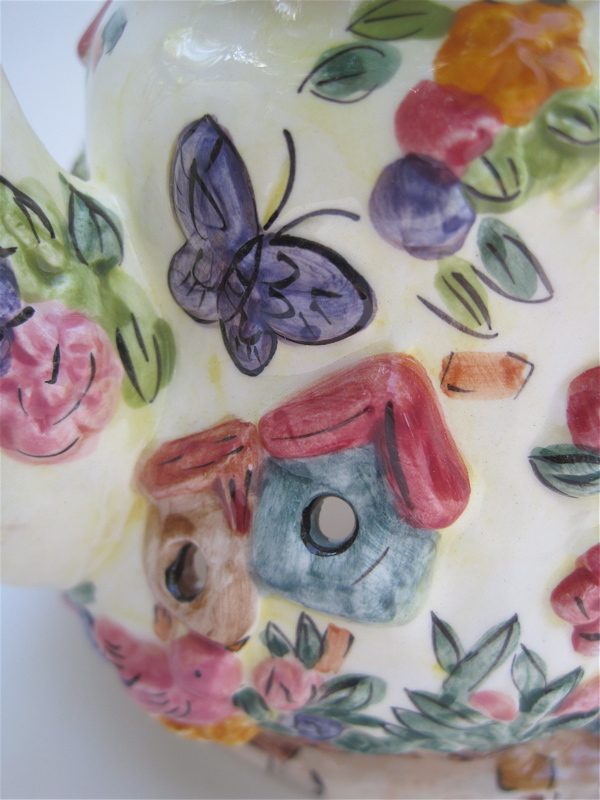 One of the stories in our upcoming issue is about a local woman who has placed numerous fairy houses throughout her garden. 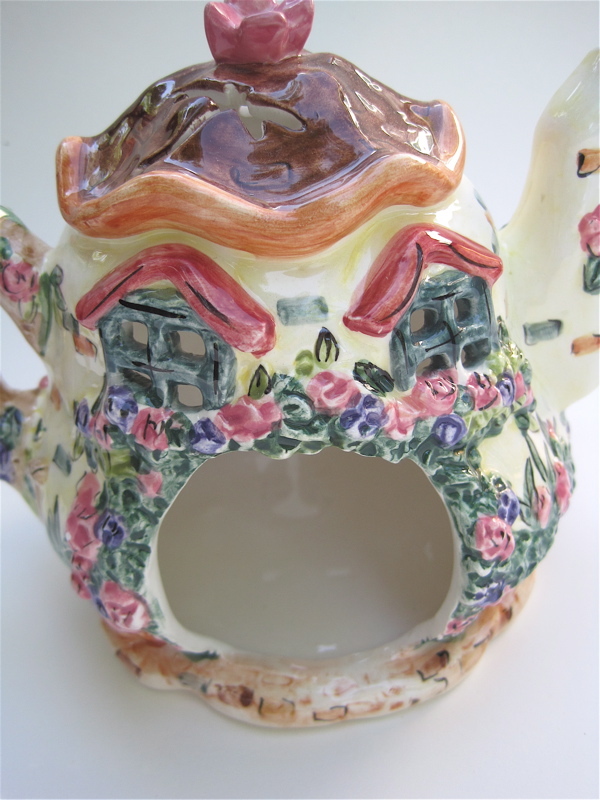 Naturally, I was inspired to think about adding a "tea house" for the fairies to my own landscape. 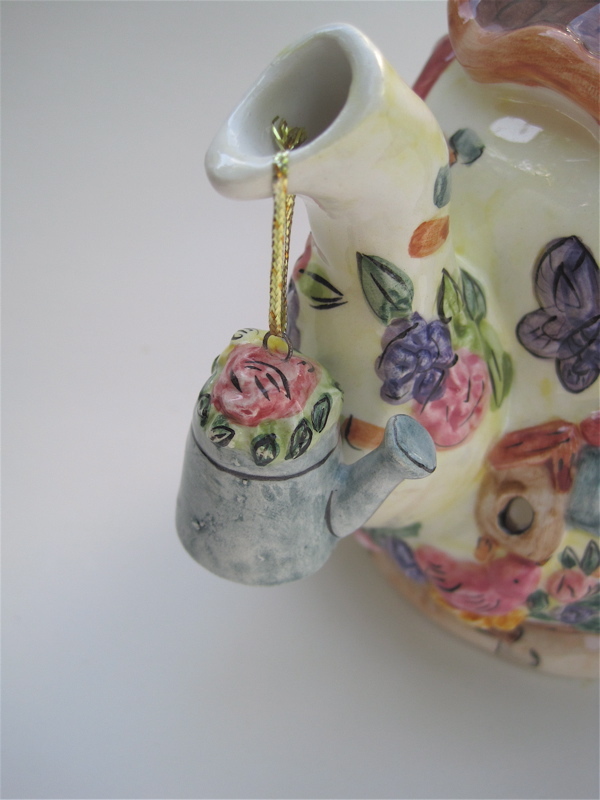 When I saw this teapot for $4 at an antique store on Saturday, I knew immediately what I would do with it! 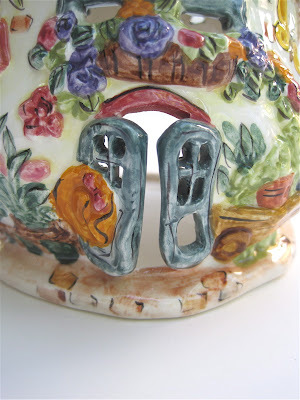 ... and the tiny little front door, I knew this was *just* what I needed! Butterflies are welcome too, of course. And the spacious opening at back means the fairies won't have any problem moving their furniture inside. 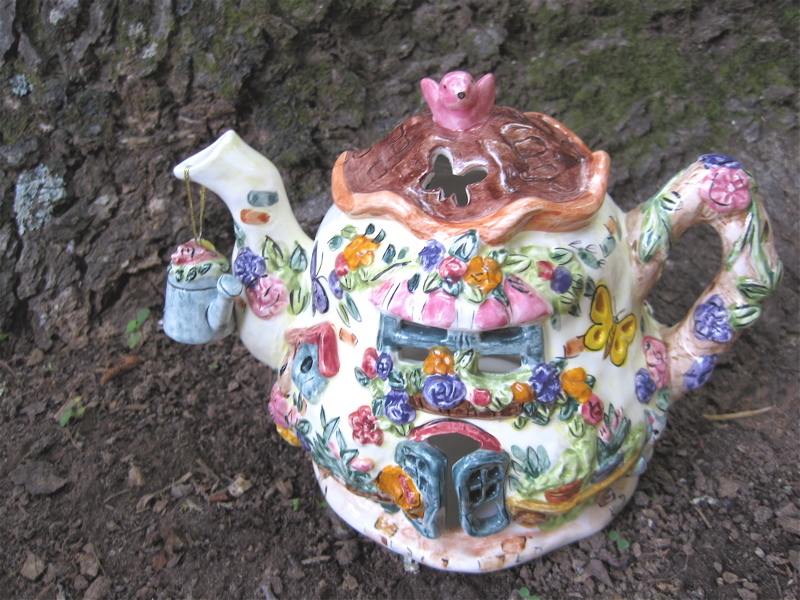 So, here's the fairy tea house at its new location at the base of a mossy tree. (Fairy landscaping plans are still being developed.) 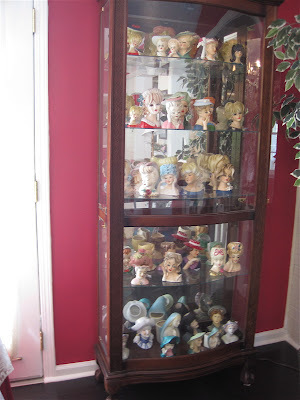 If you happen to know of any fairies looking for a new home in the South, tell 'em we're open for business! 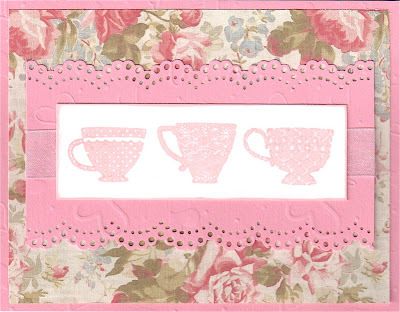 As mentioned here, I've been enjoying my own set of these new stamps which I wrote about earlier this week. 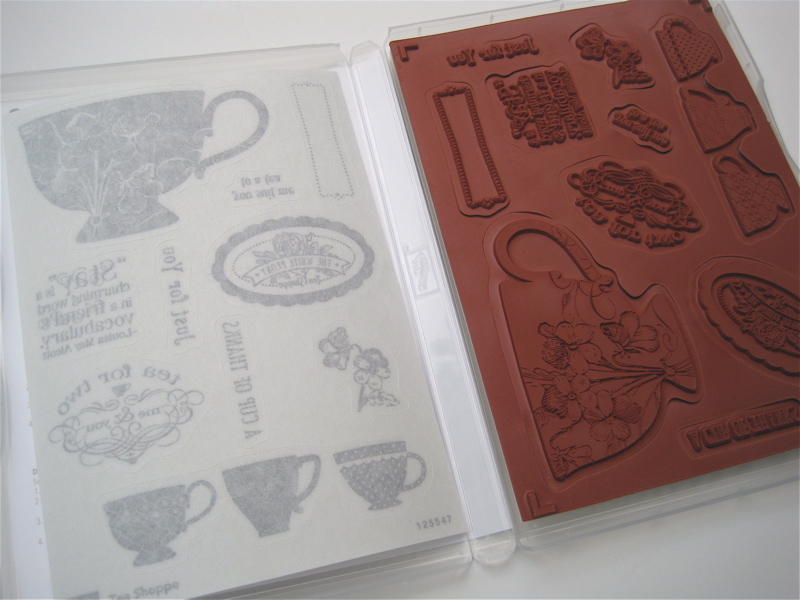 It's a very versatile set of designs, and I love that it's all housed so neatly in a nice plastic case. 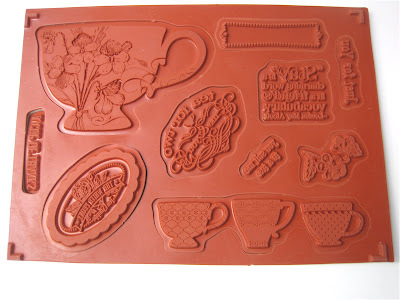 It dawned on me that in addition to cards and scrapbook pages, these also could come in handy for embellishing homemade food gifts, like cookies and cakes for teatime. 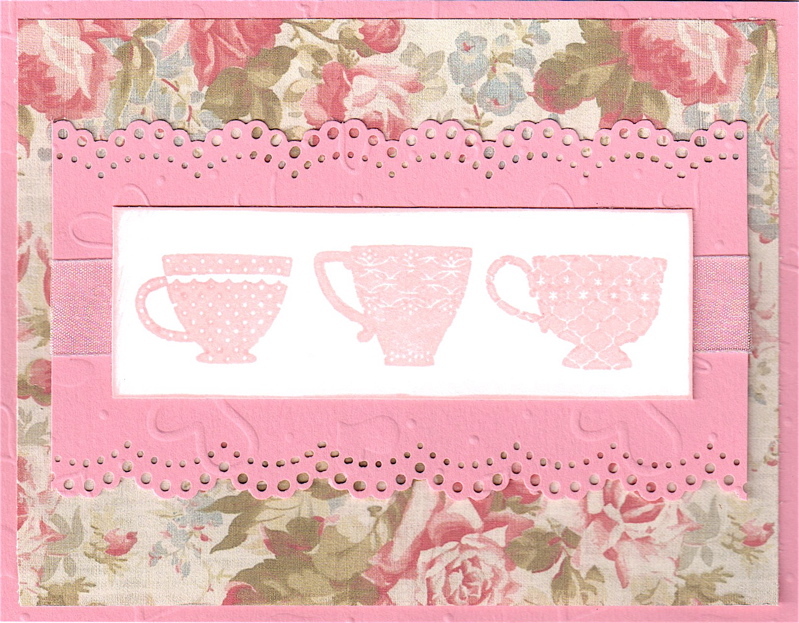 Want to make some of these designs yourself? 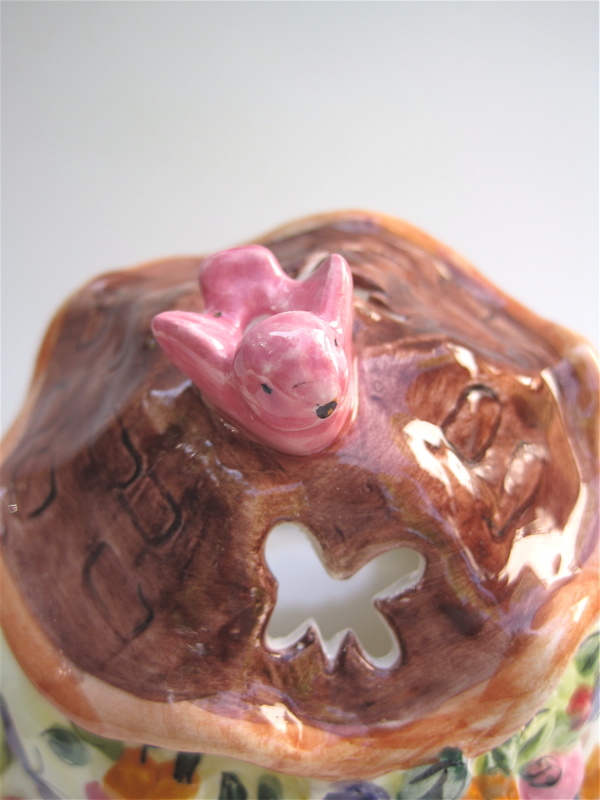 Just leave a comment to this post between now and noon EST on Friday, April 27, and you'll be entered to win. Good luck! The latest addition to my collection of department store tea room memorabilia is this sweet little dish from the Miller & Paine Department Store's tea room/cafeteria in Lincoln, Nebraska. 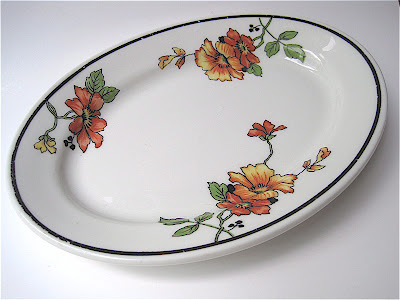 I love the small (5 x 7 inch) oval shape and can just picture it being delivered to ladies' tables. 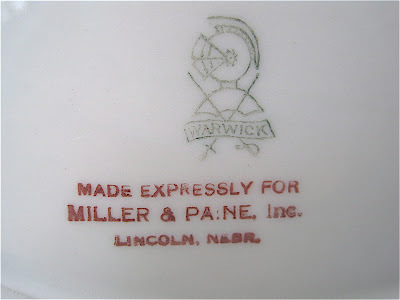 This Warwick dish tells me plainly it was "MADE EXPRESSLY FOR MILLER & PAINE, Inc." in LINCOLN, NEBR., and the online seller I bought it from says M&P was a great department store and she remembered eating in the tea room there. 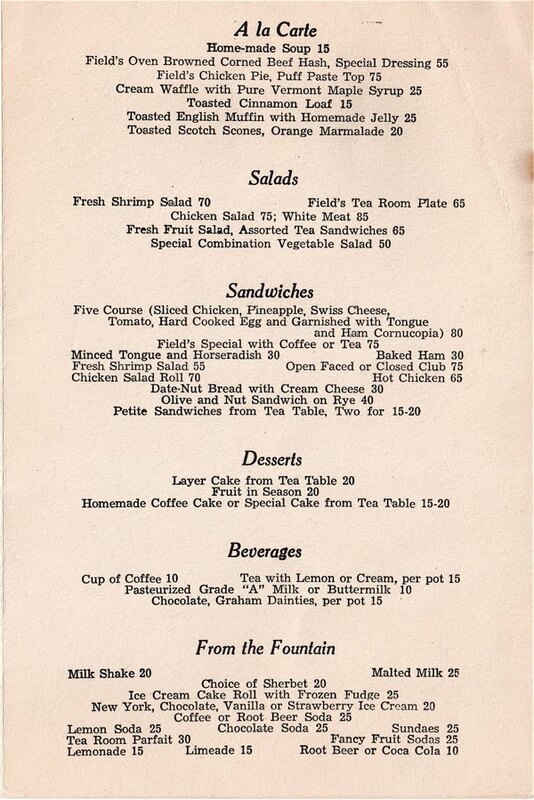 If anyone reading today has ever had a Miller & Paine cinnamon roll, I'd love to hear your review! 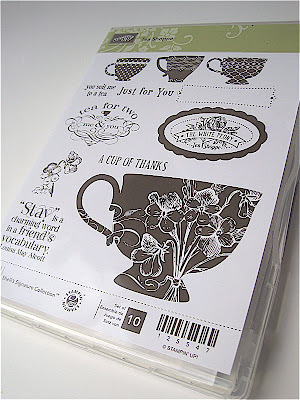 Tea Shoppe stamps from Stampin' Up! Confession: I am a lapsed stamper and scrapbooker. 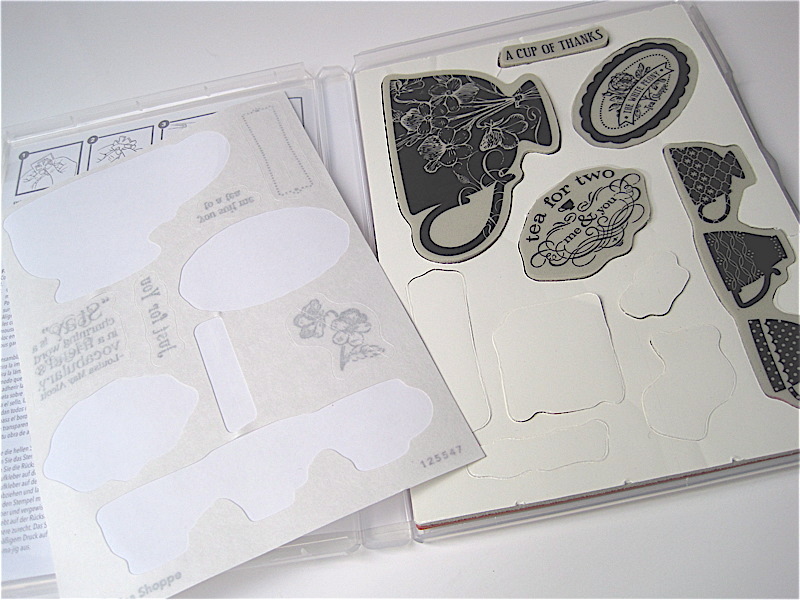 I still have most of the basic supplies, but somewhere along the way I got too busy with other projects and my pretty papers and stamps have languished in boxes and cabinets. 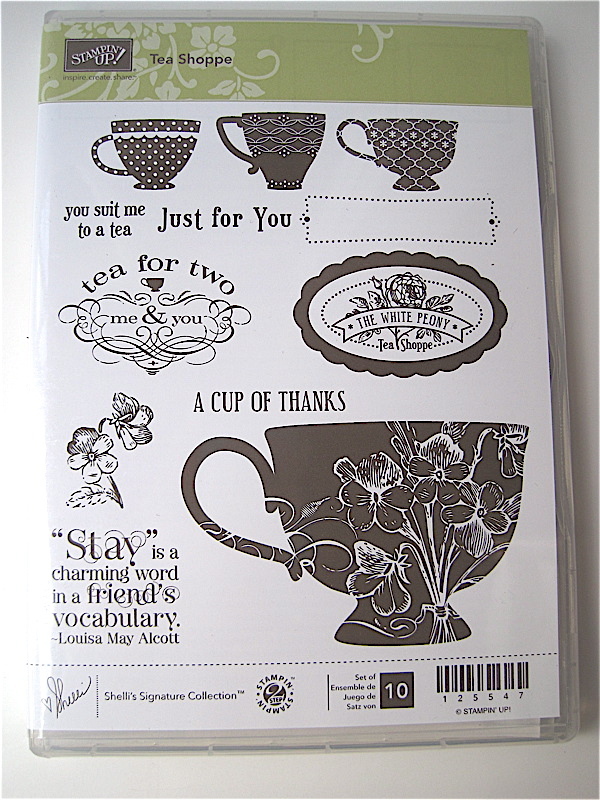 That changed last week when my local Stampin' Up! demonstrator (and fellow tea enthusiast!) 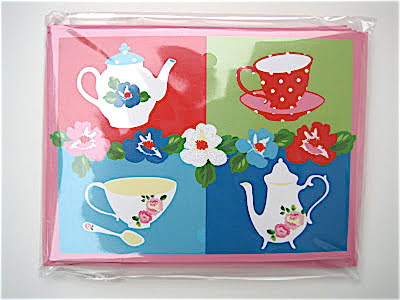 Phyllis sent a wonderful surprise package containing this great new set of "Tea Shoppe" stamps. "You NEED that set …" she said, and so she sent it to me as a gift! 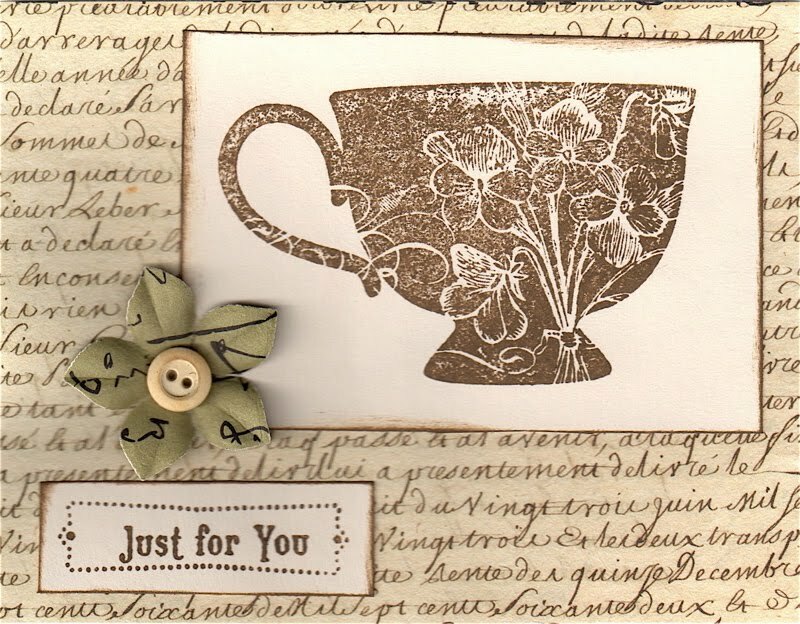 The stamps are just as lovely as can be, with a large teacup, a design of three smaller teacups (I used one of these on the egg cups shown here), and enough flowers and sentiments to make this quite a versatile set to use! And please be gentle with me and keep in mind I haven't done this in a while, but I was right happy with even the very first simple card I made using these stamps. So easy! 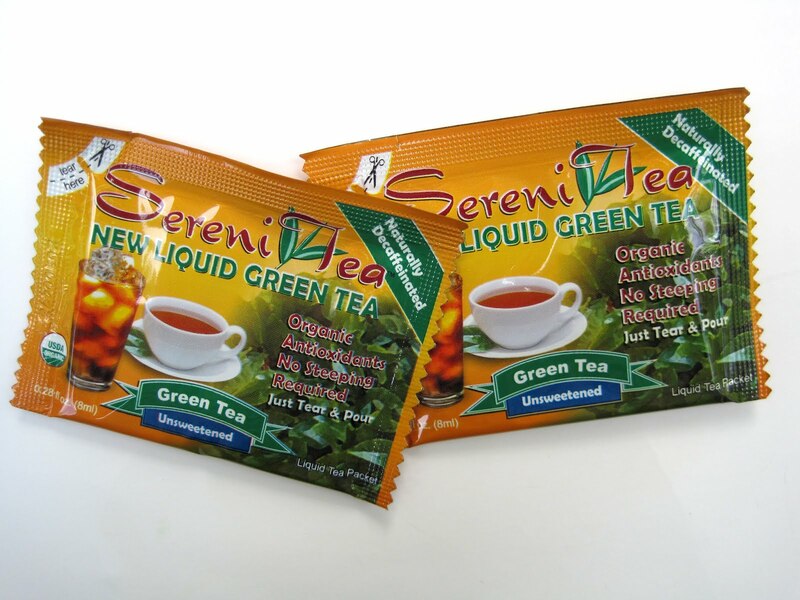 Recently I received a press release and samples of a new product that sounded intriguing, this SereniTea green tea in single serving liquid packets. 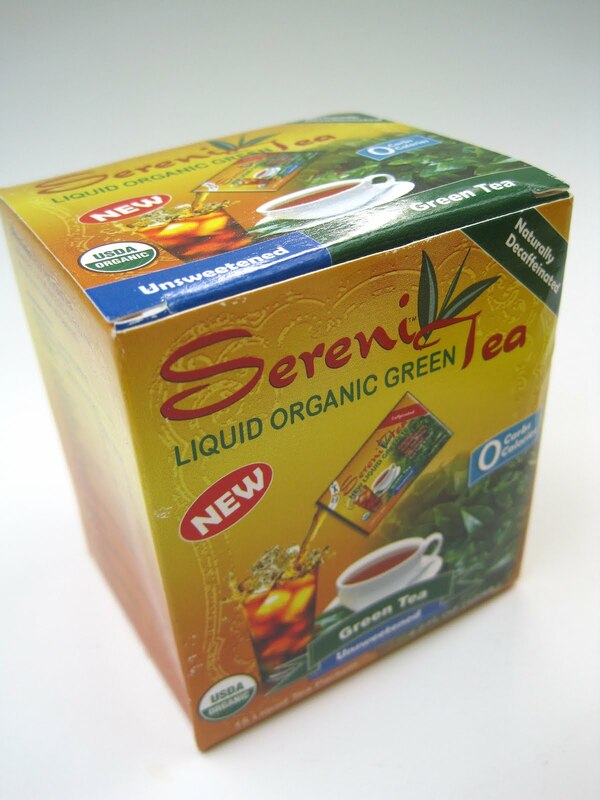 According to the company, "SereniTea is harvested three times per year at the peak of freshness from the coveted Wuyi Mountains of China, and is made from the finest whole tea leaves. 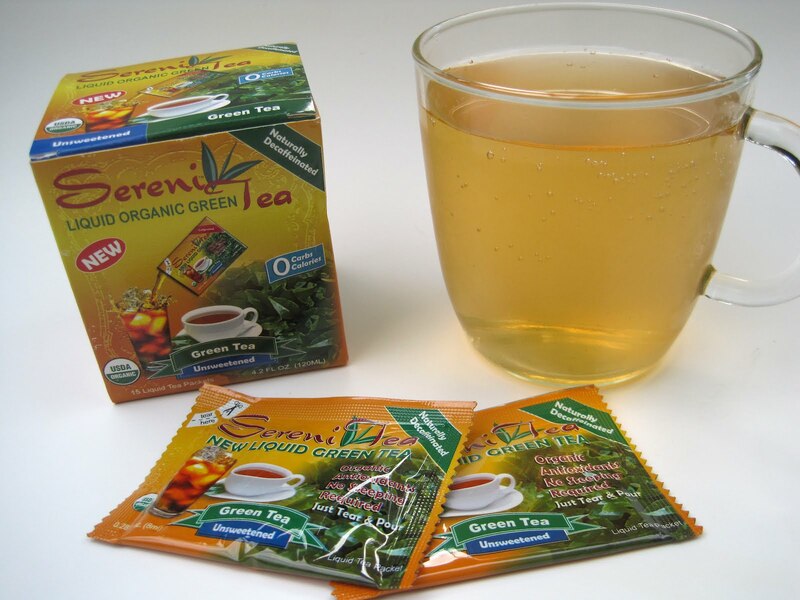 Once the leaves are dried through the patented extract process, they yield a rich liquid that when mixed with water provides consumers with an innovative beverage unlike any other on the market. A great option for the health-conscious, SereniTea is USDA certified organic and possesses double the antioxidants of a regular steeped tea due to its concentrated properties." 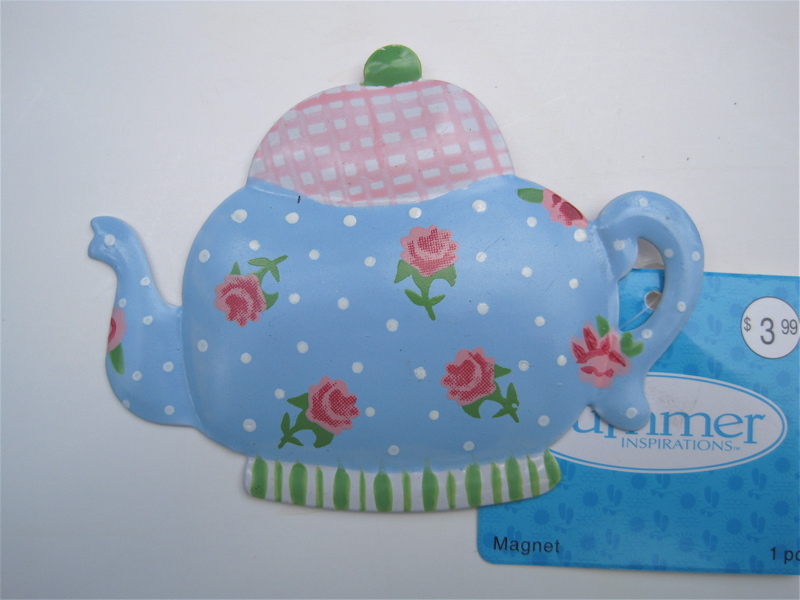 The single serve packets are obviously great for enjoying tea on the go, but I'm afraid I just didn't care for the taste. I tried it cold and it was so-so. Not bad, not too astringent, but it just didn't taste like much of anything. 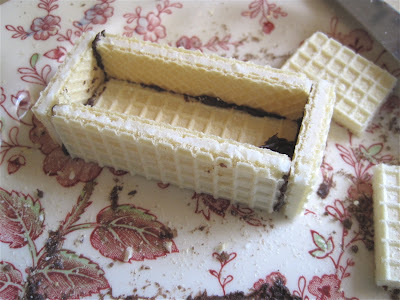 I tried making it with a smaller amount of water, thinking perhaps the taste would develop, but that didn't work either. 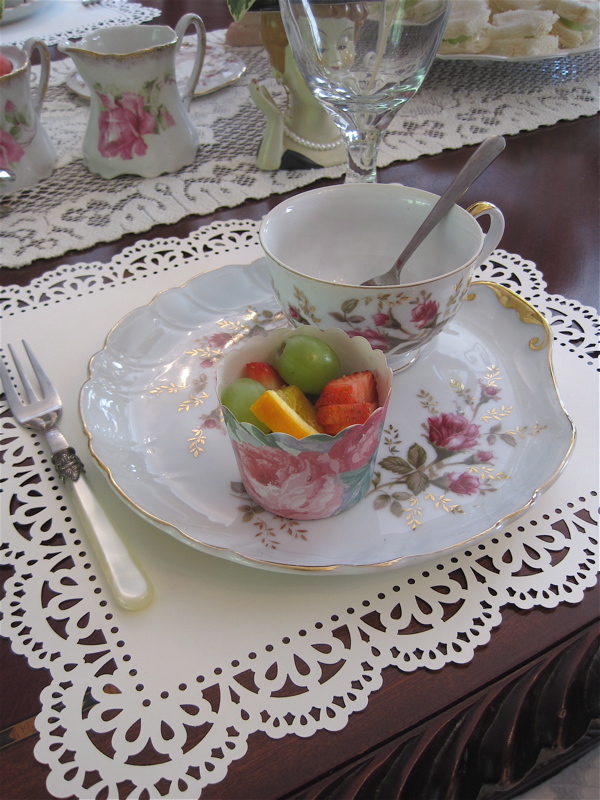 I tried the tea hot and got the faintest, merest hint of something reminiscent of a woodsy oolong, but that was it. 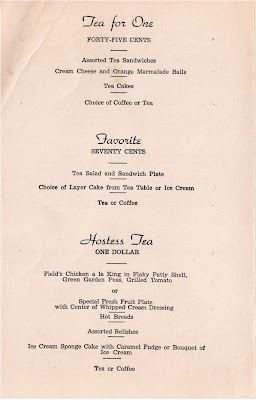 Again, the flavor just wasn't there. While I rather like the idea behind this product, which would be especially useful while traveling, the flavor was a disappointment. 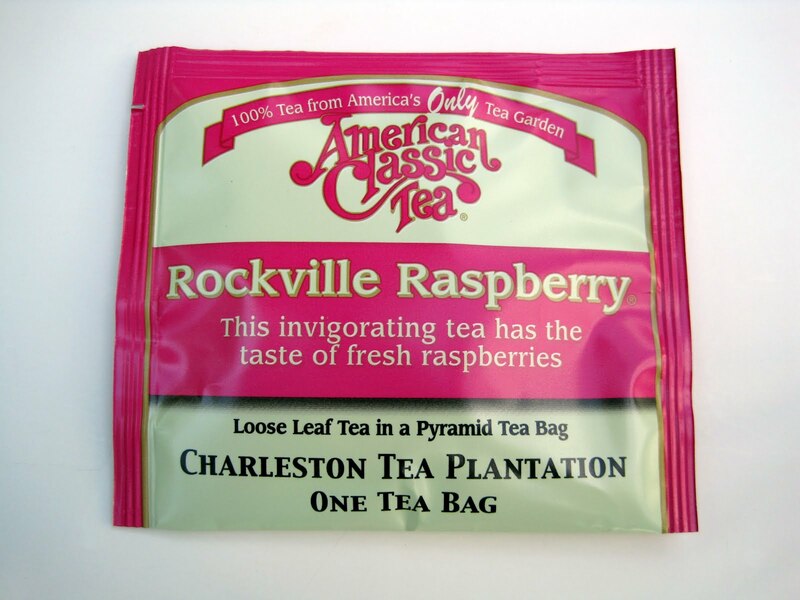 If you've tried this new tea yourself, please let me know what you thought! 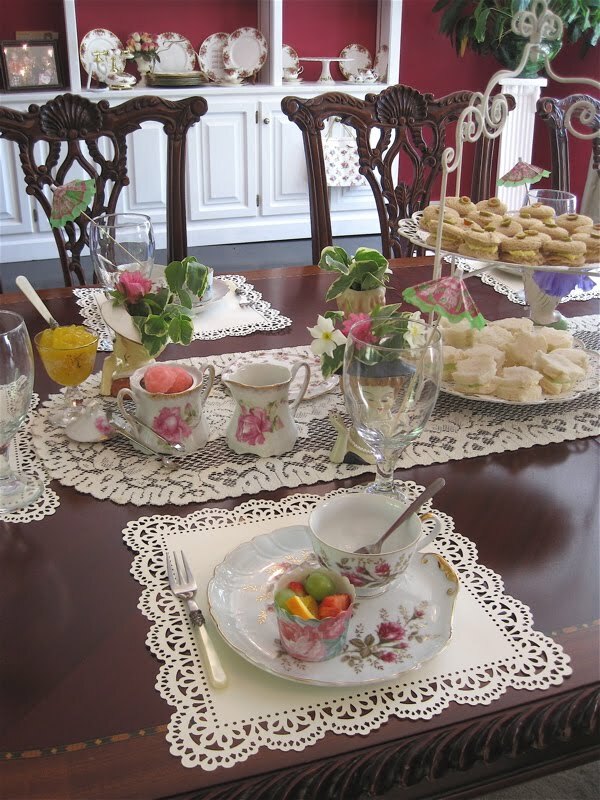 In my family, it takes a village to throw a tea party! And if I may brag on my six-year-old niece Amelia for a moment, I have to tell you that this sweet little girl was a worker bee. 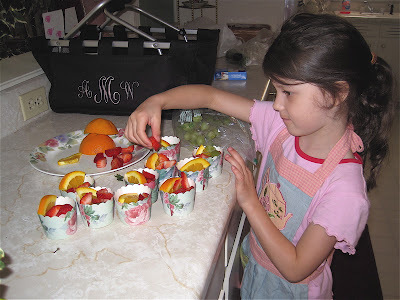 She diligently prepared the fruit cups, even if she did eat more of the strawberries than she actually put into the cups. Another thing I wanted to mention about the table setting was that I found the perfect paper "placemats" to fit around tea-and-toast sets. These are actually fancy Anna Griffin scrapbooking papers, which were on sale for just $1 at Michaels last week. I recommend stocking up on these when they're on sale like that! 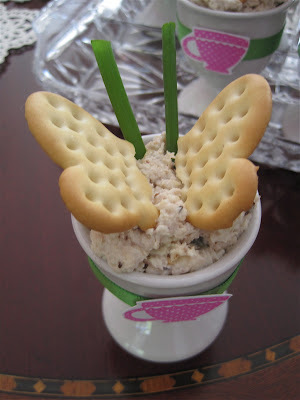 And I've written about these before on the blog, but in case you're a new reader, this is just my standby Waldorf Chicken Salad recipe garnished with a Pepperidge Farm butterfly cracker and chives. 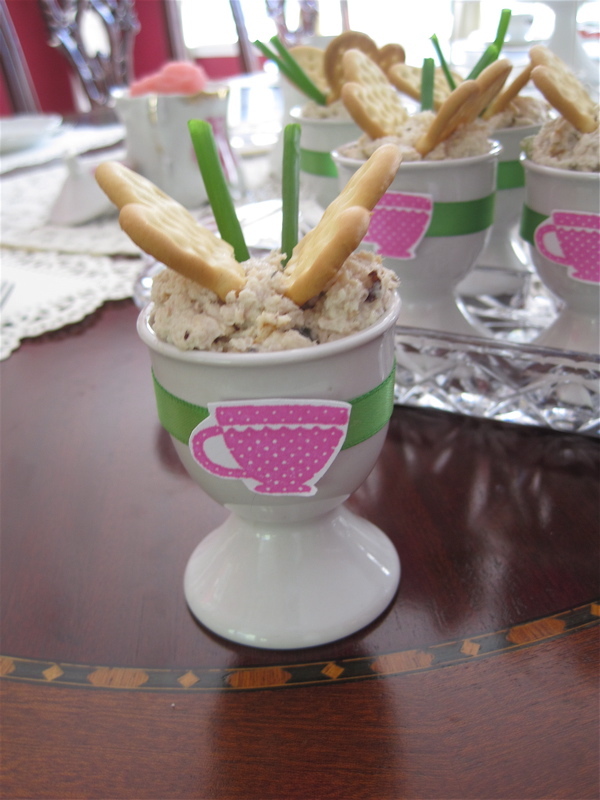 Easy—and gets rave reviews! I also thought you might enjoy seeing some more of my mom's ladies head vases. Even after we decorated the table, she still had quite a few left! 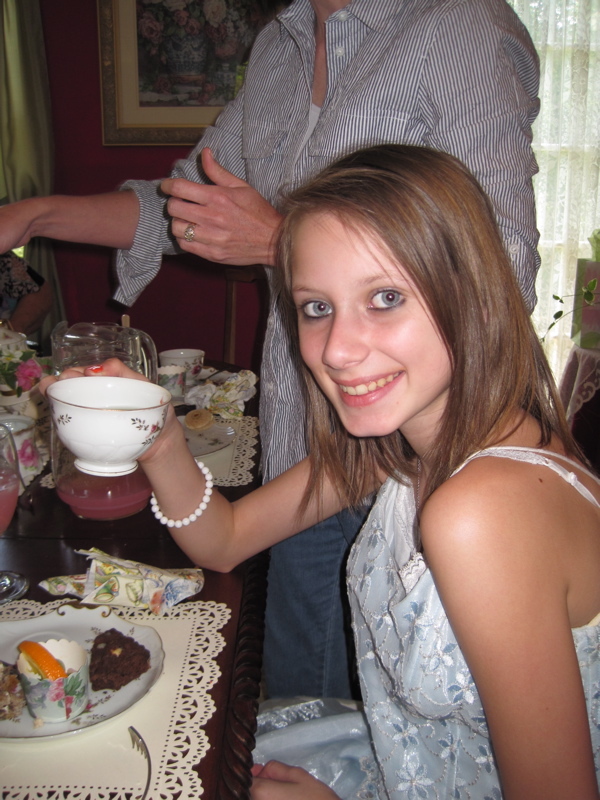 So on behalf of the birthday girl, I hope you've enjoyed reading about Cari's Birthday Tea. Cheers, everyone! 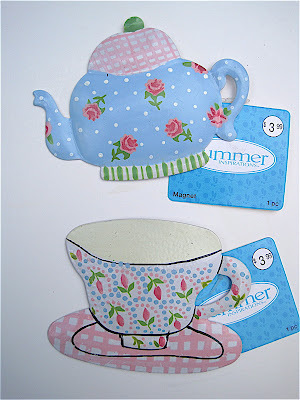 "Fancy Nancy Tea for Two"
Taught & Toned with TimeBalm & Tea!